I wrote a short story for the girls a few weeks ago. Then I looked at the word count and compared it to some of the chapter books Sophia has (that are emblazoned with the Scholastic ribbon), and realized that for the first and second grade age group, 4,000 words is a book, not a short story. I wrote a children’s book for the girls a few weeks ago. That sounds weird. It’s a fun little story, and of course it includes a dog. One can’t write a story for Sophia without including a dog. And since both girls are now in ballet lessons, I’ve worked that in, too. 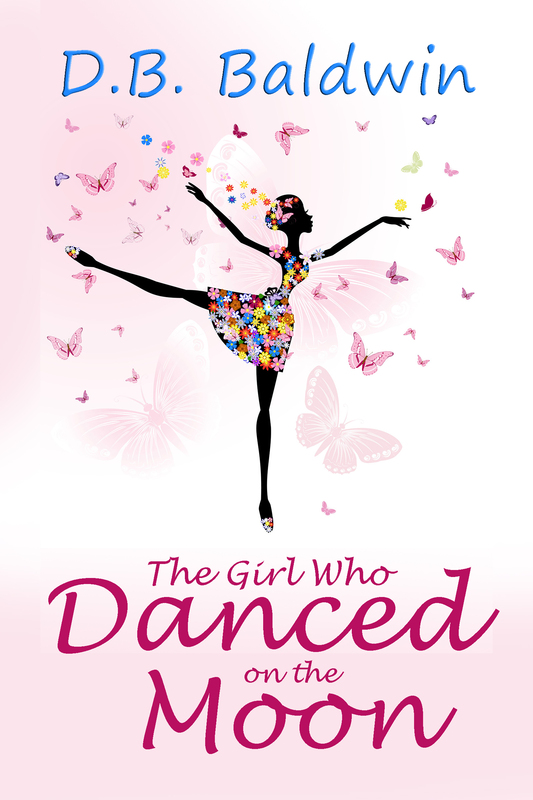 After the older girls in ballet make fun of her, Jersey wants to quit dance forever. The only thing that can cheer her up is her dog, Bromley. When Bromley leads her into the trees near her house, she discovers a world unlike any she’s ever known–a world of fairies. The fairy Luna flies her high into the clouds and dances with her in the moonlight. 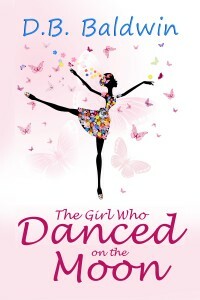 Luna teaches Jersey what it means to believe in herself, but will it be enough for her return to ballet? I’ve looked into getting it published in dead tree form through CreateSpace, but once I got the proof back I decided that I didn’t like how Word made the text look. I’m in the process of learning Adobe InDesign so I can make it look better, but InDesign is hard and I end up finding that I’d rather write something else or read something else, so I haven’t learned it well enough to get the book layout finished yet. Someday. Maybe. I’m discriminating against Apple because their process for self-publishing is terrible. Before Settlers I played games like Life or Risk or Monopoly. I never really loved them. The randomness (and duration) left me feeling like I had eaten too much cheap cake: unsatisfied. That’s the beauty of Settlers. It provides enough randomness in the dice rolls to appeal to people that are accustomed to the classic American games, but it balances it with a clever distribution of resources and the ability to trade. Throw in the relatively quick pace of games—60 to 90 minutes—and a dash of schadenfreude with the robber, and Settlers has become a new favorite. There’s good news, folks. Settlers of Catan is loads of fun, but there are plenty of games out there that are just as good, if not better. Here is a list of five of my favorite games. 5. Seven Wonders – It’s a card based game, but these aren’t the four suits you’ll find at a poker table. You have the opportunity to build one of the wonders of the world. Or perhaps a collection of monuments the likes of which Rome can only dream. Or maybe a military that would make Donald Rumsfeld drool with envy. Or perhaps a fabulous collection of guilds that allows you to take advantage of your neighbors’ buildings, too. 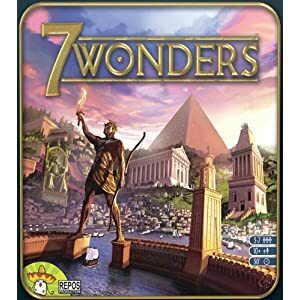 Seven Wonders will handle up to 7 players and everyone takes actions simultaneously, so it moves very quickly once everyone understands the rules. The first game will probably take a couple hours, but after that they will drop to half an hour to an hour. It’s fun, it’s quick, and it’s a steal at around $35 on Amazon. 4. 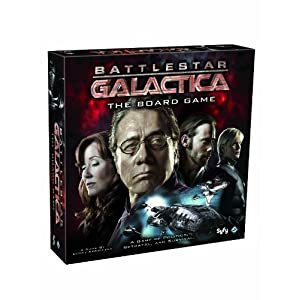 Battlestar Galactica – this is an actual board game based on the television show. The players are represented on the board as one of the characters from the show, and each player is given a loyalty card that indicates whether they are loyal humans or Cylon agents. The Cylons will work hard to sabotage the humans without revealing their identities, while the humans struggle with a myriad of complications presented by a set of cards that will send Cylon fleets, fuel shortages and riots to disrupt the search for Earth. There are few things in gaming as fun as revealing yourself as a Cylon and wreaking havoc on the humans. You’ll spend an hour or two nervously sabotaging the fleet just enough to hold them back, but not quite enough to make them suspicious. Add in a dose of table talk to incriminate other players and generate false accusations, and it’s an experience you’ll never forget. It’s big, it’s fun and it takes a three or four hours to play a game. Perfect for a rainy Saturday afternoon. I’ve never played with less than 4 players, but I’ve played with 4 to 7 and it’s still very fun even with 7. You can get it for around $35 on Amazon. 3. Dominion – this is another card based game with not a suit in sight. Instead, you have 25 different cards in the box, with money and victory point cards extra. You start with a basic hand of cards and you use them to make your hand stronger buy purchasing more powerful cards. The catch is that the cards that actually do things don’t score you points. They only increase your options for a turn. There’s a fine balance between building a deck that’s powerful enough and a deck that has enough victory points in it. Games take 60 to 90 minutes, and you’ll seldom be able to stop after just one game. The good news is that any given game will use 10 of the 25 cards, so every game will be different than the last. 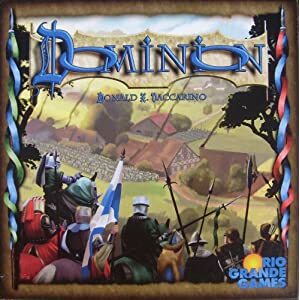 When you consider the expansions (not required by any means), you can play Dominion for years without every playing the same game twice. The base set will only handle 4 players, but adding Intrigue allows up to 6. Games will take around an hour, though the cards can make some take less and some take up to two hours. The base set of Dominion is available for around $33 on Amazon. There are a number of expansions, but I particularly recommend Intrigue and Prosperity. 2. 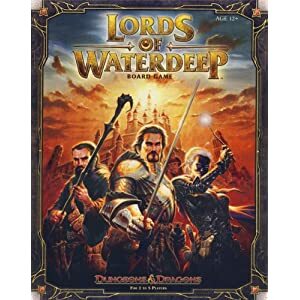 Lords of Waterdeep – This is a more recent game, and I fell in love with it the very first time I played. You’re one of the (wait for it) Lords of Waterdeep. Waterdeep is a city in the Forgotten Realms of Dungeons and Dragons. It makes no difference which lord you are since all of them are going to need a motley collection of adventurers. You win the game by completing quests, and you complete quests by sending out the right party of adventurers (and coin) to handle it. Each quest card rewards victory points, more adventurers, coins and some of them even provide powerful effects that will remain in play until the end of the game. This is a worker placement game, so you only have a limited number of actions per turn; the player that uses them the most wisely will be the victor. I’ve played with 3, 4 and 5 players (it maxes at 5), and it’s great with all three numbers. A game will take 90 minutes to two hours. Price-wise, this is right in the same ballpark as the other games at $38 on Amazon. 1. 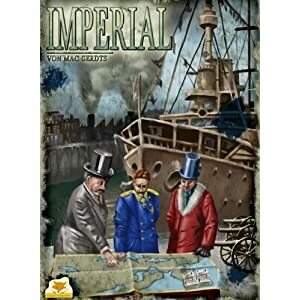 Imperial – This is my favorite war game. You are one of the wartime financiers of World War One Europe. Purchases of bonds in the European powers grants a return on investment, but it can also grant control of the country if you have the largest investment. Unlike almost every other war game, you don’t control a country permanently. At any time another player can buy a larger bond and take the country from you. The game is won not by who controls the most countries or who wins the war, but by who has the most valuable investment. It’s an entirely reasonable use of resources to march your armies and fleets into battle in order to have them be destroyed so you can avoid paying taxes on them, even if they lose the battle. It features one of the most unique game mechanics with the rondel of actions. There are no dice rolls. There is no randomness. The strategy is predicting which countries will successfully expand and investing in them. In many ways, it’s more about knowing the other players and predicting what they’ll do than it is about any particular military strategy. It plays excellently with anywhere between 3 and 6 players and takes an hour and a half to two hours. It’s around $41 on Amazon. If you’re looking for something else besides Settlers, I can’t recommend any of these games enough. They’re all fun; they’re all different; they’ll make the nerd in your life happy. So I bought a netbook. I’ve been wanting something small that I could use with a real keyboard, and being home sick and unable to sit at a desk finally made me look into my options. I wanted something like a Macbook Air or maybe one of the Windows ultrabooks, but the $1000+ price tag was more than I wanted to spend. I did some poking around on Newegg and found a netbook that looked perfect. I ended up with an Acer Aspire One 725. It has an AMD C60 dual core processor, a 320 gb hard drive (not solid state), 2gb of RAM, and a Radon 6290 video card. It also had Windows 7 Home Premium. Oh, and an 11 inch screen. When you consider that most of the other machines in the $300 price range had single core processors, 1gb of RAM, integrated video, a 10 inch screen and they were trying to run Windows 7 Starter Edition, this one seemed like the best value BY FAR. From the reviews I read, Windows 7 runs terribly with 1g of RAM, so one of the big selling points to me was that this had 2gb AND it had Home Premium. So those are the specs, but how does it work? Really well. I’ve been using it non-stop since Friday afternoon when it arrived. The 11 screen gives the case a little extra width, so I have a nearly full size keyboard. The hardware specs have left me with no complaints. I’ve been doing a lot of typing and a lot of (too much) web browsing, and everything has been snappy. I haven’t seen any of the slowness that was a major complaint for other netbooks. Granted, it doesn’t take much to run Word and Chrome, but I’m not getting any lag when switching programs or poking around in Windows Explorer. How does it handle games? I have no idea. I am conscientiously avoiding installing any on it. I really do intend for this to be my writing machine and I’m trying to avoid distractions. I hear that siren call of Football Manager, but I have my body lashed to the mast. I have two complaints so far. I use the Home and End keys frequently when I’m in Word. On this keyboard, Home and End are only accessible by pressing Function and then Page Up or Page Down. To make matters worse, Page Up and Page Down aren’t on the top right where they belong—they’re on the bottom right tucked in with the arrow keys. I’m working around it, but it’s irritating. The second issue is the touchpad. I find myself typing along and suddenly I’m typing in the middle of a word somewhere two paragraphs above where my cursor should be. I think the problem is that my thumbs are brushing against the touchpad occasionally when I hit the spacebar. The touchpad works fine, but I really wish I had some easily accessible button that I could use to disable it when I’m typing. The worst case is that I end up plugging in another keyboard, but I’m going to try to adapt for a week or two before I take that step. Overall, I really like it. It’s perfect for my needs and the price was excellent. I’ve already told Carissa that I’m planning to give it to Sophia in a year or two and buy myself an ultrabook of some sort, but in the meantime, this little Acer will do nicely. I spent nine days in the hospital earlier this month. It wasn’t a fun experience, but I’m home now and finally on the mend. It started the week after Memorial Day. The Wednesday after the holiday I had some shooting pains in my stomach. The first doctor thought it might be an ulcer, so he prescribed some medication to help with the pain and the acid formation. After a couple days with no appetite and no ability to keep food down, we decided that if it was an ulcer, it wasn’t just an ulcer. I suffered through a tough weekend before finally going to the ER on Monday, June 4. The ER moved me to the main hospital in the wee hours of June 5 with a premilinary diagnosis of a bowel obstruction. I spent most of week completely miserable. I knew I wasn’t getting better, even though the days were trickling on by. I had a tube down my nose to keep my stomach drained. I couldn’t eat or drink anything. Once the diagnosis was confirmed and the doctor was sure the stomach suction wouldn’t clear the obstruction, I went to surgery on Friday the 9th. They gutted me like a fish. I have 6 inch incision down the center of my stomach now. The doctor found a “thick band” of scar tissue that was choking off my small intestine. He also removed some adhesions from my stomach and cleaned up the old scar. While I was opened up, samples were taken for biopsy. The good news is that I’m on the mend. My digestive system is working again. The better news is that the biopsies all came back negative—there are no signs of cancer. The bad news is that I’m *sore. * I have a minor wound infection, so I’m getting to experience the joy of having a small portion of my incision packed with gauze everyday to enable it to heal from the inside out. Many, many thanks to everyone that helped us out. Carissa was at the hospital with me almost the entire time. That wouldn’t have been possible without everyone’s help with the girls. It really means a lot to us. Extra special thanks to Carissa for being there with me quite literally day and night. Being in the hospital is a miserable experience. It would have been far more miserable if I had been there alone. I feel tremendously better than I did a week ago. I no longer have a tube down my nose. I can eat and drink whatever I like. Most importantly, I’m home. My Pawpaw died on the Sunday before Memorial Day. That’s now two and a half weeks ago. I composed this eulogy in the days after learning about his death, but life has conspired against me getting it written and posted until now. My Pawpaw had 26 grandchildren. Many of them hardly knew him. Some of them knew him more as a father than a grandfather. Even of the ones that knew him as a grandfather, I’ve known him the longest. This is my story of him. My story of Pawpaw. When I was little, maybe pre-K or early elementary, Pawpaw ran the FBO (airport) in Flippin, Arkansas. It was the kind of lazy little place that didn’t get too much traffic, and if there was a little boy riding his bicycle across the runway, it wasn’t a big deal as long as the boy had the sense to watch for planes landing. I remember my dad and my uncles brush hogging a path through the field that separated Pawpaw’s house and the airport. I would ride my bicycle through the field and then all over the airport. Pawpaw used to take me flying. One flight in particular stands out after all these years. Pawpaw had me sitting in the front with him, and he banked the plane way up onto a wing until my nose was pressed against the side window. It was terrifying. Then he brought us back level. Once I calmed down, he let me drive. What did I do? Bank the opposite direction until HE was pushed up against the window. He thought it was just as hilarious as I did, and after he made sure we weren’t going to stall, he let me keep flying. Without exception, every single person that has ever offered me an opinion about Pawpaw has thought highly of him. My mother’s family attended my grandfather’s church in Northern Arkansas years before I was born. They love him to this day. When I was fifteen, I rode along when Pawpaw made a trip to Teterboro, New Jersey. The folks in the airport, hotel and restaurant greeted him enthusiastically, some of them by name. It was then that I realized that my Pawpaw had never met a stranger. I doubt he ever did. While we were in Teterboro, Pawpaw took me across the Hudson River and into Manhattan for the first time. We walked around part of Manhattan, though all I really remember was seeing the Empire State Building and walking on the steps in front of Madison Square Garden. There was no particular reason to take me halfway across the country just to go for a walk in Manhattan, but Pawpaw thought I’d enjoy it. He was right. Once in a while my dad would take us kids over to see Pawpaw and Grandma, even if there wasn’t any particular reason to visit. On those visits, you could catch Pawpaw watching television. When he was around, his TV only had two choices: The Weather Channel and Westerns. I never saw the man watch a movie that didn’t involve horses and dusty men with guns. I never did ask him to explain what it was about John Wayne and Gary Cooper that so enthralled him. We jacked up the car and took off the rear wheel. When we tried to unbolt the drum, we ran into problems. Even unbolted, it wouldn’t come off. After fifteen minutes of tedious work with a screwdriver, Pawpaw loosened it with an emergency release I hadn’t known existed. We got the brake changed with some more work, and Pawpaw suggested we test it before doing the other side. We hopped in the car, I took off the emergency brake and away we went. When we came back to park, he very politely suggested that I leave the e-brake off this time. We had the wheel off, the drum off, and the pad changed in about ten minutes. He never had a negative word to say about the extra work I had unwittingly caused us (him). A couple years later I was at the end of high school, about to go to college. It was summer and I was broke. Pawpaw came by the house one afternoon and mentioned that he could use some help cleaning airplanes. I was interested in helping because, hey, airplanes, but then he mentioned it was the kind of thing that would pay, and if I did a good job, it could turn into something regular. I cleaned airplanes most every Saturday for four years. I didn’t always do a good job. Sometimes I was tired. Sometimes I was hungover. Sometimes I was lazy. Pawpaw never had a negative word to say. In retrospect, I don’t think he really needed the help. He could clean faster and better than I could. I think he just knew I could use the extra money and cleaning was a way he could help me out when I needed it. I appreciated it back then because I did need the money. Those weekly trips to the airport kept gas in my car and food in my belly. I appreciate it now because of the thoughtfulness. He created a job out of thin air, just because he saw the need. Since college I haven’t seen as much of Pawpaw. I’ve had my own family to raise, and I’ve had a falling out with my father. I’m indescribably sad that Pawpaw is gone so soon. The Pawpaw I saw at the visitation and at the funeral isn’t the man I choose to remember. The one I remember was vibrant. He never had a gray hair on his head (I’m told he had a little help on that front). He always had a ready smile, and a willingness to help. That’s my Pawpaw. That’s who I’ll remember. Picker, grocer, preacher, pilot. Pawpaw. I didn’t write this story, but I enjoyed it. This is the 2012 Nebula winner for short story. The Paper Menagerie is one of the saddest stories I’ve read in a long time. Whether it be the sadness and regret of The Paper Menagerie or the fear and anticipation of horror or the fascination of fantasy, and author’s job is to evoke emotion. Ken nails it and he does it in precious few words. I finished Chuck Wendig’s Blackbirds last night. It was very enjoyable. It’s the kind of book that grabs you by the throat, squeezes off the air and drags you along to the end where it finally lets go and leaves you there, gasping for breath on the pavement, wondering what just happened. The protagonist, Miriam Black, made me think of Marla from Fight Club, or least Helena Bonham Carter’s version of Marla. She’s a self-destructive lunatic, but she also has a strange psychic ability that lets her see how people will die. Wrap that up with a mouth that would make a sailor blush and an imagination that would would make Tim Burton squirm, and you have a fascinating character to follow around for 75,000 words or so. I’ve been great about updating this blog. I’m still writing. I’m midway through another novel. It’s a stand alone book rather than a sequel to Antigen. The idea right now is that I’ll finish this one and follow up with a pair of sequels to complete a trilogy. In the mean time, here’s a quick story I wrote a few months ago. The nearly silent creak of hinges woke me enough to half open one eye and check the room. Nothing seemed amiss, other than a closet door that was two inches open. The boy had closed it before he went to bed. I opened my other eye and watched, but my body remained still. Still and ready. The door creaked open a few more inches and I saw the first sign of the beast. A green claw had hold of the bottom of the door and a glowing yellow eye peered out. A low growl rose in my throat, but still I waited. The door opened further and the beast emerged from the dark of the closet. The beast’s powerful claws wrapped around me, its odor clogged my nose, its bitter ichor stuck to my muzzle as I tore at it with my teeth. The beast roared and twisted. I growled and shook. Round and round we went. I forced it back to the closet. It pushed me back to the boy’s dresser. A shake of my head threw us against the boy’s bed; a swipe of its tail tossed me against the door. The boy awoke crying in the middle of the battle. “Mommy!” the boy called to his mother. As if she could defend him. I snapped out a pair of quick barks to ensure the woman would hear his cries, but also to summon his father. I thought I could handle the beast, but discretion has always been the greater part of valor. The barks unsettled the beast and it retreated toward the closet. I closed in again and harried it further. Get thee gone, foul creature! The beast finally slithered back into the darkness of the closet and pulled the door closed behind it. I stood mere inches away and focused my concentration on it. A couple more short barks let it know I was still there and it stood no chance should it venture forth again. The door to the boy’s room opened and the light flicked on. “What’s going on in here?” the boy’s father demanded. “Oh my,” his mother said a moment later. I looked back over my shoulder and saw them standing in the doorway, looks of shock on their faces. Coming so close to the enemy can do that. “My dinosaur,” said the boy. He sounded afraid. He should. White tufts of the beast were scattered about the room and stuck to my fur. He’s lucky I was here. The woman sniffed. “Is that my eucalyptus lotion?” The beast’s ichor coated the room. “Bad dog,” the father said. He dragged me by the collar from the room to the front door. “You can sleep on the porch tonight, Elmore.” He opened the front door and nudged me outside with his foot. My body may be cold tonight, but my heart will be warm with the satisfaction of a job well done. Somewhere in the last few months I read a blog post by an experienced author where he said that a book should be judged by whether it does what the author intended. All books should entertain or inform and should avoid boring the reader, so that goes as a given. But beyond that a book shouldn’t be judged by comparing it to the reader’s expectations, rather by whether the writer’s intent was realized. It is with this in mind that I’m reviewing Throne of the Crescent Moon by Saladin Ahmed. But first, qualifications. I have none. I write software for a living. I love to read and I especially love to read fantasy and science fiction. I write some, too, for what it’s worth. I’m just a reader that also has a humble pulpit. The Setting. The author had a blurb on John Scalzi’s blog where he talked about wanting to put the Middle Eastern setting at the center of his story. He did. And it was great. At times I thought I could smell Dhamsawaat. He painted a picture with enough little details that I was able to fill in the larger swaths in my imagination. The heroes. Adoulla, Litaz and Dawoud were all interesting and had enough backstory to make me care about what happened to them. Does Adoulla give up the kaftan and live happily ever after? I hope so. Do Litaz and Dawoud go on to a quiet life in the Soo Republic? They should; they deserve it. The villains. Mouw Awa the manjackal is a wonderful villain. Honestly, he’s one of my favorite villains in recent memory. He’s a horrible, horrible creature that’s untouchable by sword or magic. And on top of that he toys with his victims like some kind of man sized demonic cat. The Falcon Prince is hard to pin down as his role changes with the story. He isn’t as well developed as I’d like, but he’s some kind of mashup of Robin Hood and Aladdin and Superman. I hope he features prominently in the sequel. The hook. The interludes with the captured guardsman were brutal and terrifying and they took me by the cheek and dragged me wriggling through the story. The prelude in particular was great. It gave me setting and raised questions and just worked. The prose. It was good. The author has a clear, highly readable voice, may it please All-Merciful God. My momma taught me that if you can’t say something nice, don’t say anything at all. Writing a novel of my own and getting very little feedback taught me that you can’t improve what you don’t know is broken. The story was boring for the middle 70%. The hook was solid, the fight scene where Zamia was introduced was excellent and first encounter with Mouw Awa left me wanting more, but the book never returned to that peak. The try/fail cycles just didn’t feel like they had tension. Raseed had a little tangle with the Falcon Prince and Litaz had a little tangle with the city watch, but neither really upped the stakes any. The love story was boring. I don’t think it could have been cut since we needed to see Raseed’s inner conflict to get an idea of who he was, but… no, it could have been cut. Raseed’s inner conflict was boring. I never really cared about Raseed or Zamia. If there’s going to a prominent inner conflict, I need to really give a damn about the character. The Falcon Prince seemed all powerful. Characters are compelling because of things they CAN’T do, not just because of what they can. He seemed to be a paragon of Robin Hood virtue with no weakness. I know I said I liked him, and I did like him, but it he just seemed like he could have been even more compelling. The ending. The throne rising up out of the ground with no forewarning? It felt contrived and out of the blue. Overall, the climax didn’t feel like it reached the same level as the opening battles. It seemed too easy. The premise of the resolution was fine, just the execution left me wanting. I liked the book. You, dear reader, should read it. The things it does well far outweigh the things I thought it got wrong. I will absolutely buy and read future works from the author. I did. A real honest to God dead tree book. The first dead tree book I’ve bought in months due to reading on my phone and then on my Kindle. I don’t think I’ve gone this long between physical book purchases since I finished my undergrad. The book was Throne of the Crescent Moon by Saladin Ahmed.